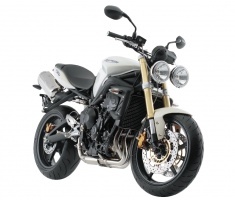 The 675 engine is tuned for 106 hp at 11,700 rpm with 44 ft. lbs. of torque available from 3,500 to 12,200 rpm, peak torque of 51 ft. lbs. is achieved at 9,100 rpm. With a close ratio six-speed the Street Triple should be extremely capable of strafing back roads. 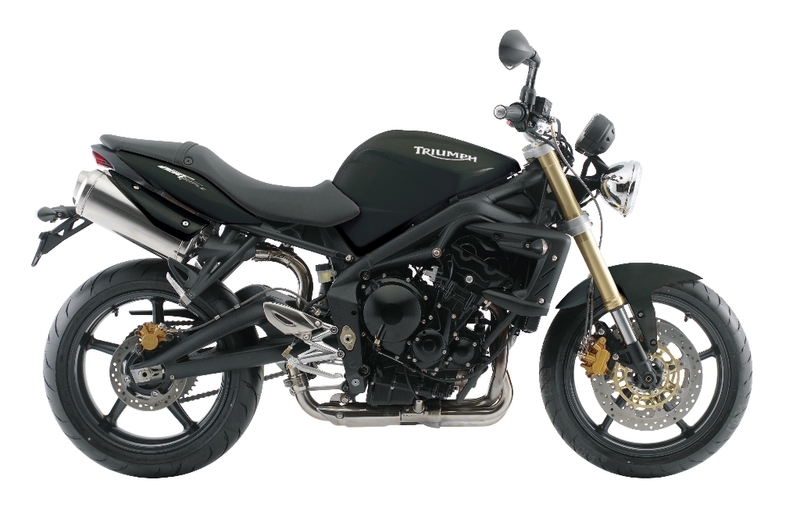 The rake and trail of the Street Triple are a little less aggressive than the Daytona at 24.3 degrees and 3.75in trail, while dry weight is 367 lbs. The Street Triple could make commuting very enjoyable. 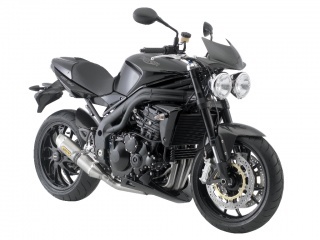 The Speed Triple has tough streetfighter looks. The Street Triple in its 14 year of production receives some styling updates to freshen the look; new rear wheel, black anodized forks and the redesigned tail section with new sub-frame and clear-lensed LED tail light taken from the 675 Daytona. New aluminum rear footrests give the pillion rider more leg room. 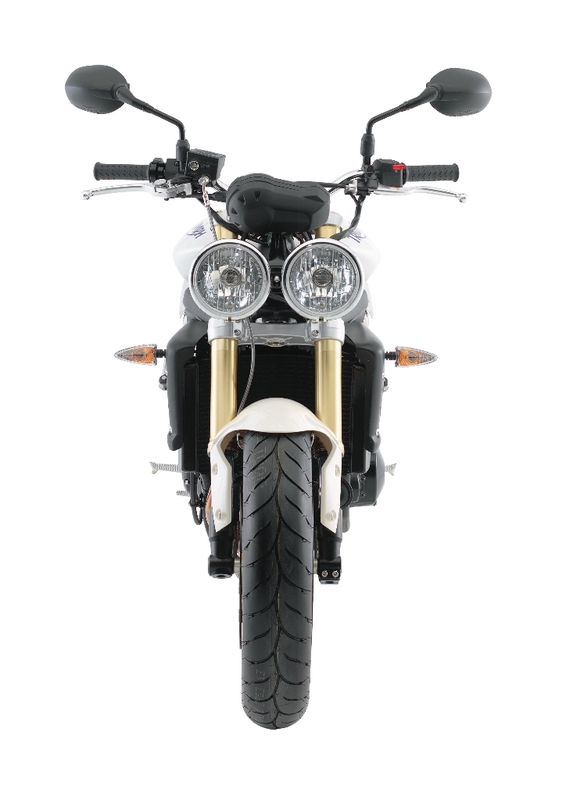 The potent 1050cc DOHC triple rated at 131 hp at 9,250 rpm and 77 ft. lbs. of torque at 7,500 rpm is unchanged for 2008. The 2008 Speed Triple is fitted with dual high-spec Brembo 4 piston, 4 pad radial calipers gripping dual 320mm full floating disks. The 43mm upside down forks feature dual rate springs, front and rear shock is adjustable for pre-load, compression and rebound damping. 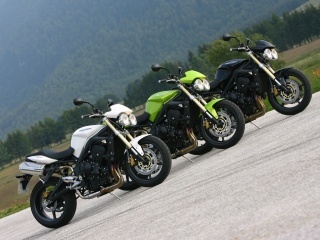 All photos courtesy of and copyright by Triumph Motorcycles.